Magnetic filter bars can be found in a great variety of applications. They are used separately or with more than one in complete magnetic systems like Magboxes, grids or liquid filters. 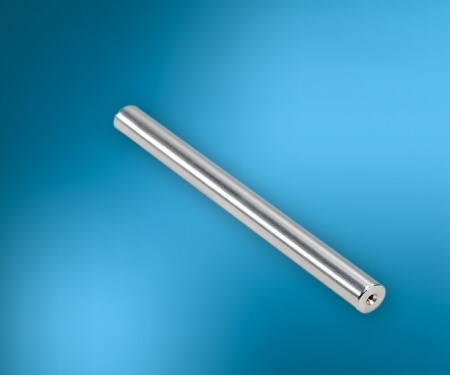 To catch even the smallest particles we launched, beside our standard range, a second range of these bars with a higher output than the standard ones. The new bars will reach 11.500 gauss on the surface of the bars (+/- 10%), and can even withstand higher temperatures than the normal versions (max 140C). Like the normal bars these new versions can be fitted inside any system using filter bars. The EHEDG execution and finish of the bars makes them suitable for use in the food industry as well.